LaDonna Hadland, age 93, of Ostrander, MN died Wednesday August 22, 2018 at Ostrander Care and Rehab Center in Ostrander, MN. Memorial services for LaDonna will be held at 11:00 A.M. Monday, August 27, 2018 at Trinity Lutheran Church in Ostrander with Pastor Herman Bakker officiating. Burial will be in the Bloomfield Cemetery. Visitation will be held 1hr prior to the service at the church. LaDonna Jeanette (Kohn) Hadland was born September 3, 1924 in Spring Valley, MN to Frank and Florence Leona (Thorson) Kohn. She was baptized on October 19, 1924 at Zion Lutheran Church in Spring Valley and was later confirmed at Zion Lutheran Church. LaDonna attended and graduated from Spring Valley High School. On March 31, 1946 she was united in marriage to Owen (Bud) Hadland at Zion Lutheran Church. LaDonna worked at Northwestern Bell Telephone Company in Spring Valley and also at the Grocery Store in Ostrander. 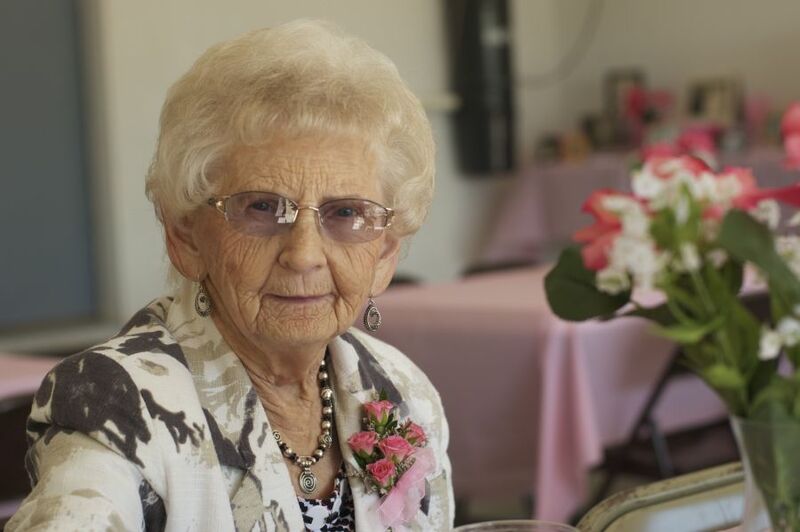 She was the City Treasurer of Ostrander and was a member of the Ostrander Legion Auxiliary for over 60 years. LaDonna enjoyed yard work and painting indoors and outdoors. She was an active member of the Trinity Lutheran Church. She loved going to Arizona with her husband and meeting old and new friends there, she lived in the Ostrander community all her life. LaDonna is survived by one niece Lydell (Brett) Reinardy of Hampton, MN, one nephew Gary (Deb Hanson) Kohn of LeRoy, MN and several great nieces and nephews and great-great nieces and nephews. She was preceded in death by her parents, husband Bud, brother Weldon, and a niece Angela.